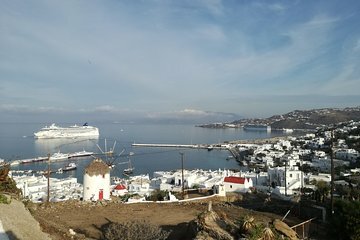 The perfect introduction to the postcard-perfect Greek island, this private, half-day Mykonos tour covers both must-see sights and hidden highlights. Enjoy hours of leisurely sightseeing in your own air-conditioned minivan, with an in-depth walking tour through the main city. You’ll also have time to stop for a coal fire-heated coffee in Ano Mera, plus an optional beach stop.